Maria Lo and her husband John met in med school and have been in love ever since. They got married shortly after college, became doctors and had two talented, smart children. After years of being married they wanted to do it all over again. Their "silver" anniversary wedding which inshrines their 50 years being married to each other was no more shy then the first. 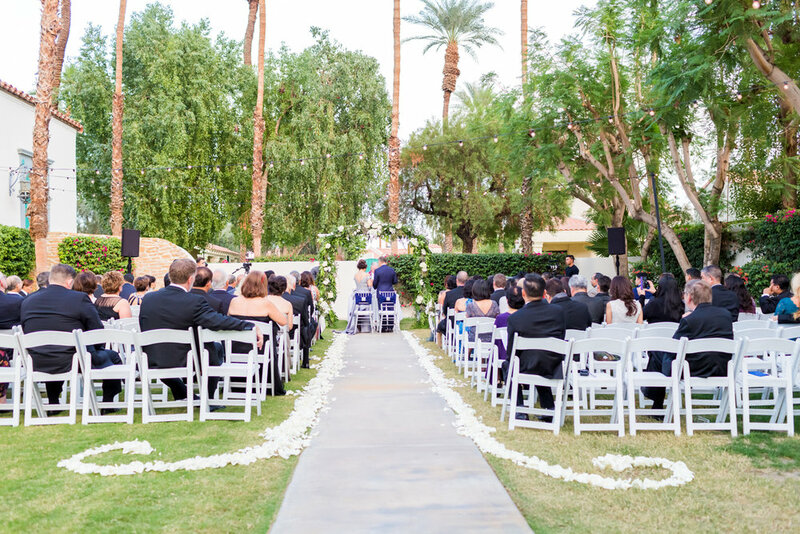 Between a beautiful location, La Quinta Resort, and stunning florals, this wedding had it all. After the ceremony they had filled their guests bellies with amazing appetizers which led to their reception where their big event took place. Maria and John had been training for months with a private dance instructor to perform a flawless tango for their guests. And they Delivered!